For groups and motorcoach tours traveling through the Blue Ridge Mountains, the Roanoke Valley in Virginia&apos;s Blue Ridge is a fantastic option for an overnight stay. See our full list of group-friendly hotels and fill out the form below for more information about hotel availability for your group. For immediate assistance, please contact Ashley Hinkle, Director - Meetings & Conventions, at (540) 362-7848 x130 or ahinkle@visitvbr.com. 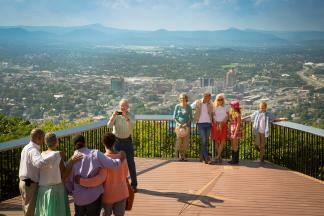 Take your group on an amazing tour of Virginia's Blue Ridge!